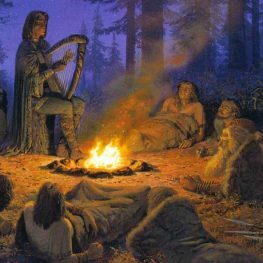 Ted Nasmith is a wonderful painter who worked with Christopher Tolkien on the art for the illustrated Silmarillion (you can find his Tolkien art here). In this special Silmarillion Film Project discussion, Nasmith will join Dr. Corey Olsen for a wide-ranging chat on visualizing the Silmarillion, touching on many of the sets and characters and scenes from Seasons 1 and 2 of the SilmFilm Project. They will also be taking questions and comments from the audience, of course! Support Our Fall Campaign Here!